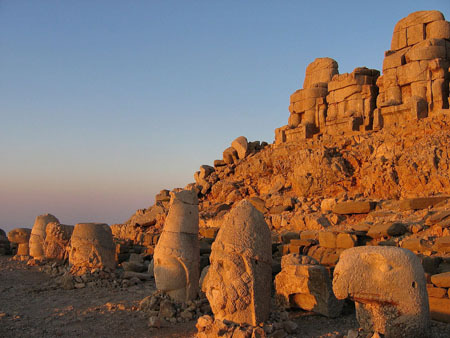 This entry was posted in Ancient History, History, Life, Mysteries, Our World, Postaday, Religion, Travel and tagged Kingdom of Commagene, middle-east, Mount Nemrut, Nemrut Dagi, science, Skyglobe, Turkey. Bookmark the permalink. I agree…add to my bucket list…but I’d have o be terminally ill and traveling with someone who didn’t mind going into potentially dangerous environments. As a matter of fact, add all of the Wonders of the World to that list. One of my favorite family pictures is of my aunt sitting on a camel with the great pyramids behind her. Is there a McDonald’s there yet?